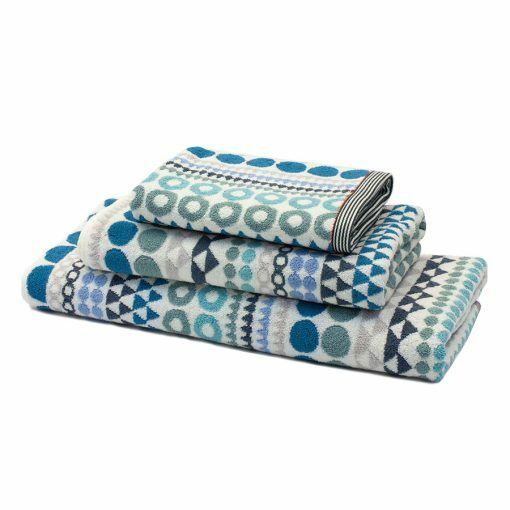 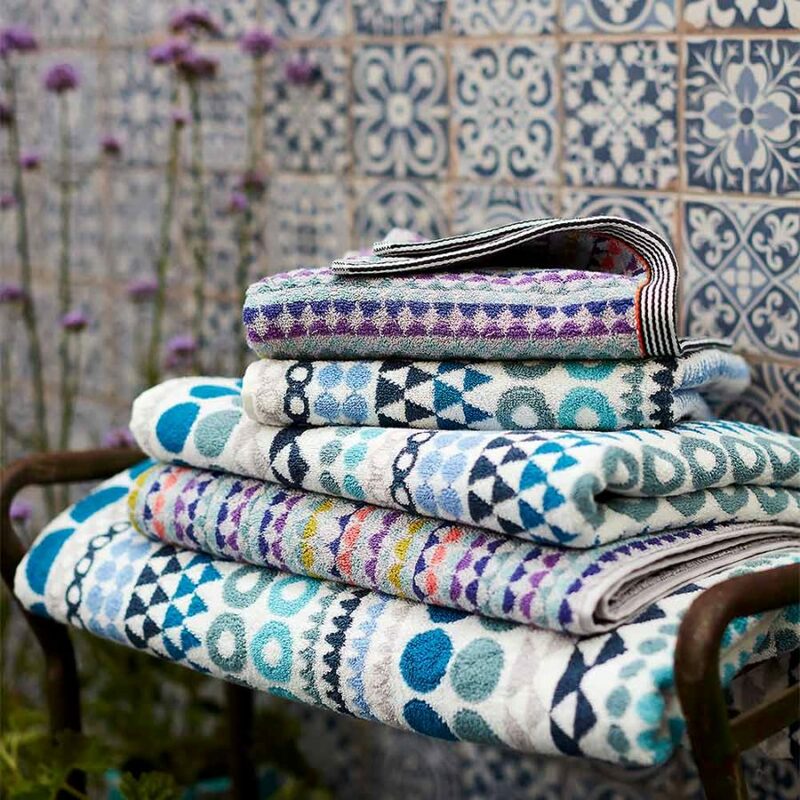 Margo Selby Bilboa bath towels in tones of blue, turquoise and white. 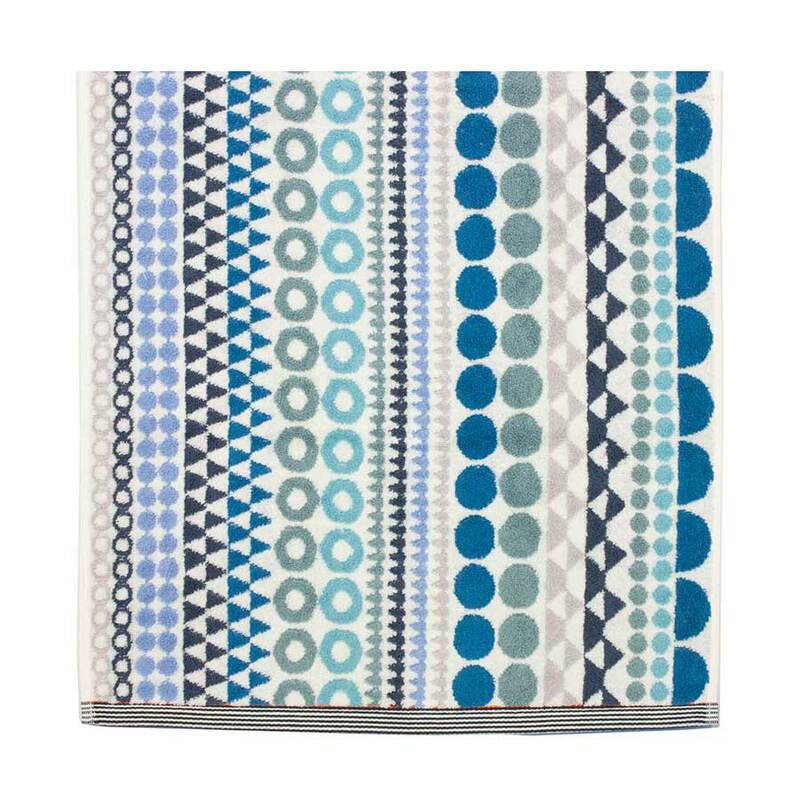 This bold and bright woven geometric design with a distinctive neon striped trim will bring colour and life to any bathroom interior. 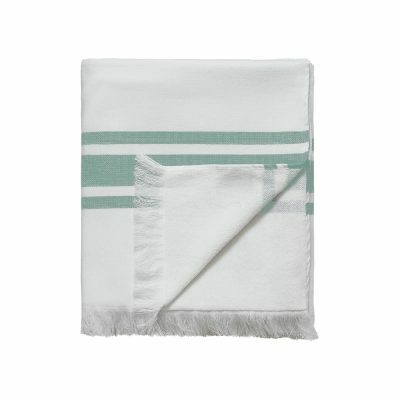 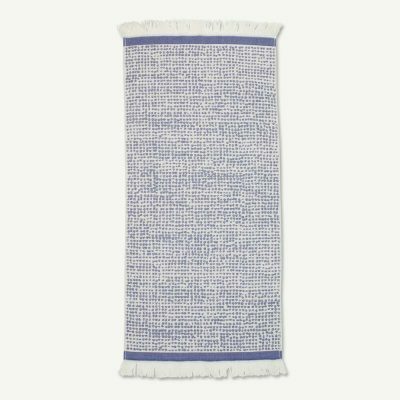 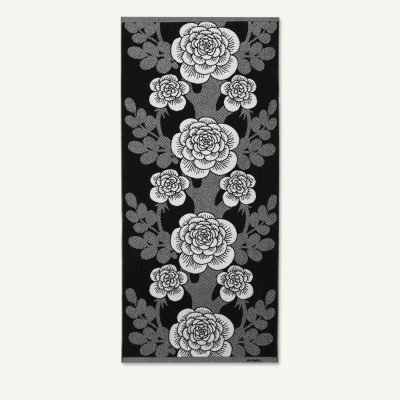 Woven in 100% cotton these stunning towels will feel beautifully soft against your skin.